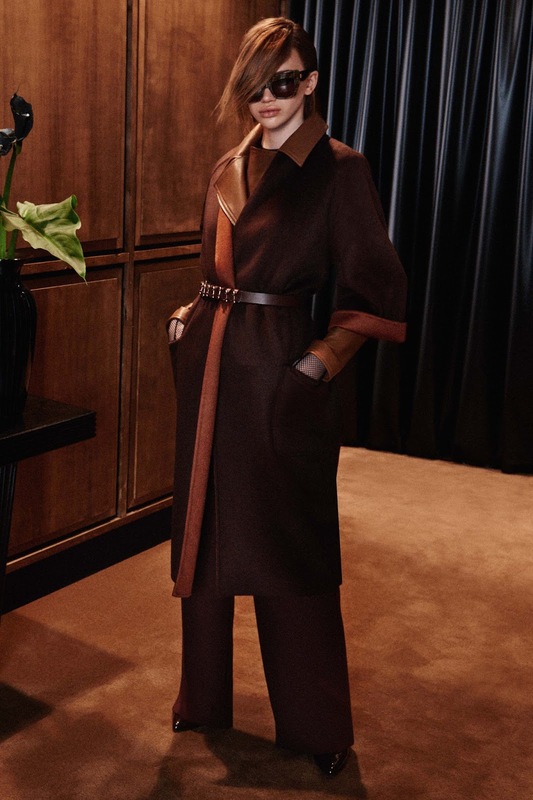 The Max Mara Fashion House was founded by Achille Maramotti, officially, in 1951. He began designing couture clothing in 1947 and established the brand a few years later. The word, "Mara" comes from his surname, whilst "Max" was a word that was used to strengthen the brand's name and image.. which I believe definitely worked. The brand is hugely popular around the world with a total of 2250 stores in 90 countries. The brand has also gained a new level of popularity with celebrities such as Lady Gaga, Kim Kardashian and Gigi Hadid. Having Gigi actually walk the runway for the AW15 collection also encouraged the show to become an online frenzy. It was hugely successful. As the AW15 and SS16 collection was applauded and praised by many, it would be difficult to carry that great reputation onto a third collection, but I believe that the Creative Director Ian Griffiths had again presented us with an absolutely fantastic collection. I feel as if he has taken these celebrity clientele's personal style and used that as an influence to create such a wearable and stylish preview. With his muses and new outlook on style, he had received more clients and a different style of customer, which is always good when expanding a brand and making it bigger than ever. Within this collection he had included the Max Mara trademark coat and intertwined the classic looks the house has used previously and teamed it with a more punk rock style with the addition of fish net tights, meshed sleeved dresses with studded belts, all leather looks and leopard print and leather boots. Of course having said this, there were many looks which you could say we would expect from Max Mara. There was of course the oversized coats, midi skirts with a slight fringe at the bottom and the majority of the colour tones were neutral, with the exception of the leather look and metallic fabrics of course. I feel that the addition of a more punk style brought something new, and made the collection more visually attractive. I feel that with the addition of the punk feel that new clients with that style would be introduced to oversized coats, capes and clutch bags. Ian had obviously thought that combining two completely different styles into one would create magic, and of course it did. And the thing that the brand is famous for, Coats, were obviously a success too.